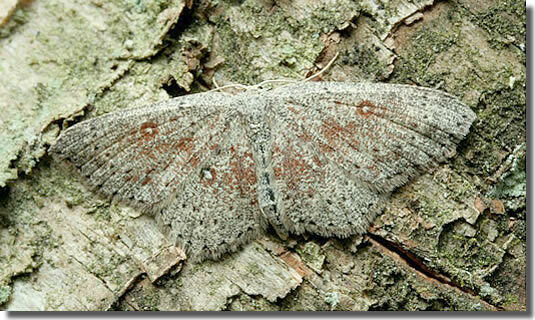 Notes: A rare Red Data Book species, in scrubby heathland and damp grassland in parts of Dorset and Hampshire, a priority species under the UK Biodiversity Action Plan. In Hampshire persists at very low density, amongst small bushes of sallow in boggy areas in the New Forest, with occasional stray individuals also reported in the extreme north-west of the Isle of Wight. Wingspan 26-29 mm. 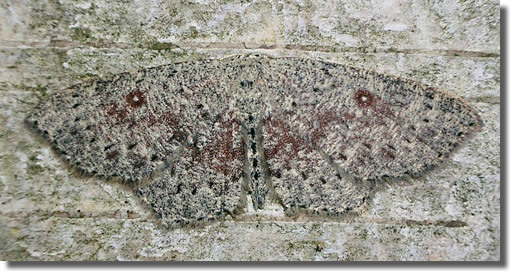 Only likely to be confused with dark forms of Birch Mocha C. albipunctata, but more heavily speckled, with falcate tip to forewing, and pointed projection on hindwing. 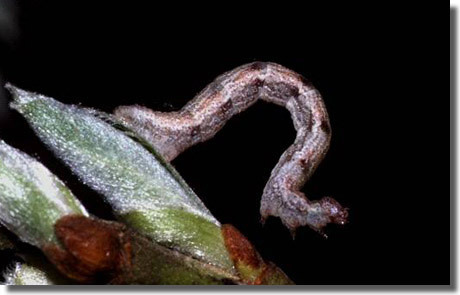 Larva feeds on Eared Willow and Grey Willow, over-wintering as a pupa.